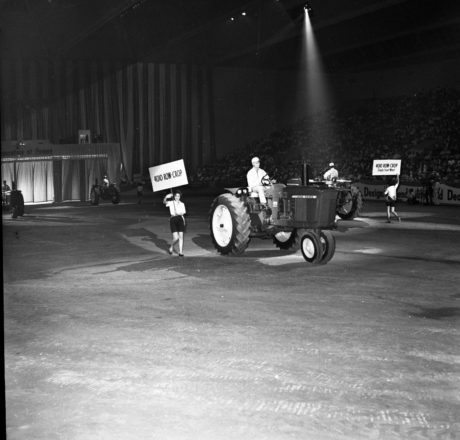 Deere Day in Dallas, as the event was called, introduced the New Generation of Power, John Deere's first modern four- and six-cylinder tractors. If you were part of the 1953 team tasked with designing the line that became the New Generation of Power, then the answer was yes. John Deere’s two-cylinder tractor design had served customers well since 1918, and the full product portfolio had earned Deere a strong number two position in the worldwide agricultural equipment market. That was exactly where Deere wanted to be following their 1918 acquisition of the Waterloo Gasoline Engine Company. But by the 1950s, the market had changed. Increased power was the name of the game, coupled with improved speed, comfort, and flexibility. Deere was no longer content with second place, and it responded in an unprecedented way. The New Design Group worked in a former grocery store in Waterloo, which they coined the “meat market.” In short time, the operation outgrew the small building. In 1954, a machine shop was built on land acquired in Waterloo, followed by additional buildings to create and test the first experimental models. The New Generation Lineup in Waterloo. The design group’s goal was to build, from scratch, a new line of John Deere tractors. The facility became the Product Engineering Center, eventually becoming part of a 684-acre complex of laboratories, field facilities, and a test track. The new lineup included four- and six-cylinder variable speed engines, new Syncro-Range transmissions with fingertip shifting, new hydraulic systems, power steering, independent PTO, and new posture seats. In addition, the lineup included several industry firsts, including hydraulic power brakes, closed-center hydraulics for instant power, and the first wheel tractor with more than 100 PTO and drawbar horsepower. On August 30, 1960, the New Generation of Power was rolled out for the first time. Deere flew in more than 5,000 dealer families and an additional 1,000 guests to Dallas for the unveiling. What they saw was a new lineup of tractors, 95% of which were brand new. It was estimated that 11,000 new drawings were created for the line, which when stacked up, would reach 44-feet high. 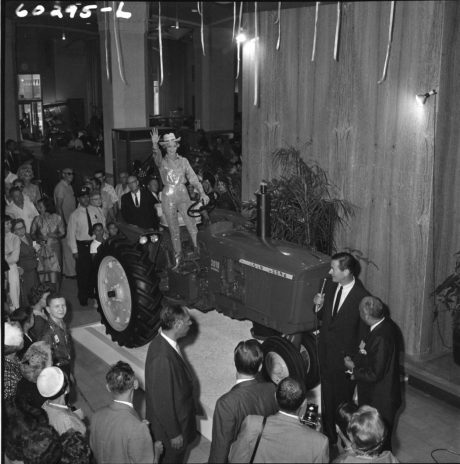 An unveiling of a diamond-studded 3010 tractor occurred at the Nieman-Marcus department store in Dallas. At noon, a special presentation at the Neiman-Marcus department store revealed a diamond-trimmed 3010 diesel row-crop tractor. Throughout the day, the new line was on display near Memorial Auditorium. That night, after a barbecue at the Texas State Fairgrounds, crowds watched the new lineup introduced one by one inside the auditorium. The seven-year project, the work of hundreds of employees, earned immediate accolades from dealers and customers alike. 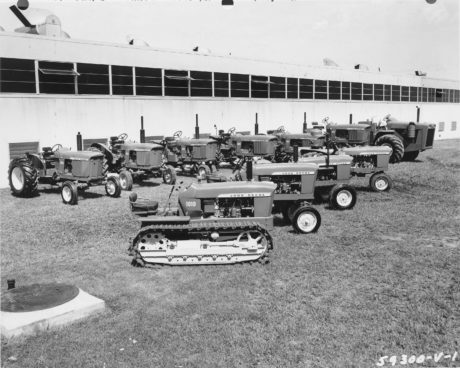 As a result, Deere overtook International Harvester in 1963 as the largest agricultural equipment manufacturer in the world. The competition was so fierce that when Deere & Company World Headquarters opened in 1964, the parking lot rows were labeled alphabetically, but the letter “I” was left out so that the letters “I” and “H” were not next to each other for customers to see. 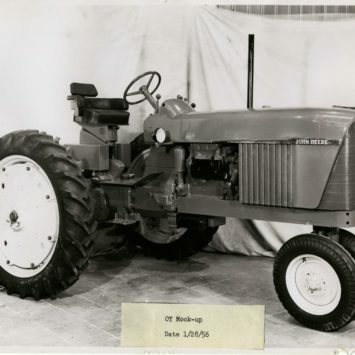 Approximately 45,000 Model 3010 tractors were sold from 1960-1963, and more than 40,000 Model 4010 tractors were sold from 1960-1962. These models led to the iconic 3020 and 4020. 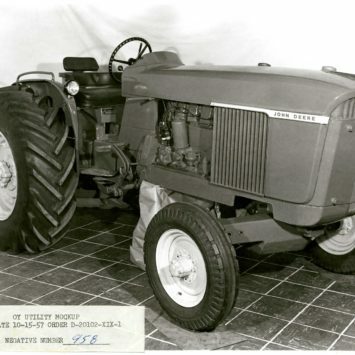 The 4020 went on to become the largest-selling single model tractor ever built by John Deere, with more than 177,000 sold. On August 30, 1960, the New Generation of Power was rolled out for the first time. Experimental model (OY) 3010 tractor console, June 15, 1954. 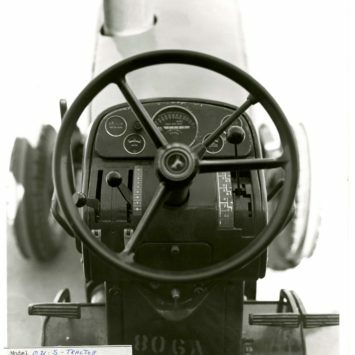 Part of original experimental model (OY) 3010 tractor, October 12, 1955. 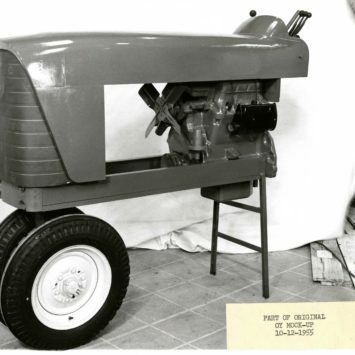 Experimental model (OY) 3010 tractor mock-up, January 28, 1956. Experimental model (OY) 3010 mock-up, October 15, 1957. If you enjoyed reading about this classic tractor line you might also like reading one of the stories below.